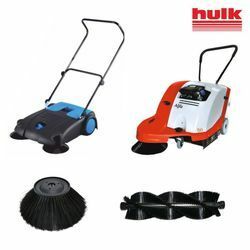 Features: Main Cylindrical brush with neutral design to collect debris forward.Great capacity of the hopper.Easily removable for manual discharge operations. Handle adjustable. 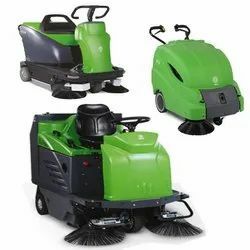 Main brush and side broom pressure adjustable without a tool. Pick up fine and coarse dust including process waste material chips. 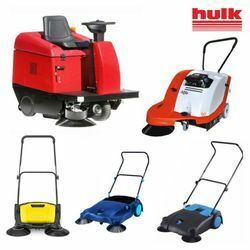 We are largest supplier and importer of Manual Sweeping Machine. 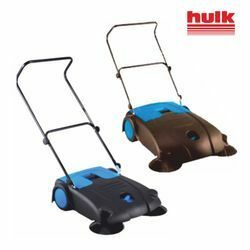 Beautiful Design With a high Strength Polyethylene Crust. Its Safe, durable and effective. 1. Double brush and small and flexible. 2. Use of advanced high-performance maintenance-free batteries, no leakage and do not produce harmful gases. 3. 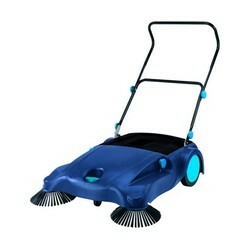 Adjust the brush-up and down manually, operated by machine with the low accident. 4. continuous working time of 4-6 hours. 5. pre-lighting for night operations. 6. Electric shaker can clean up the filter automatically. 7. 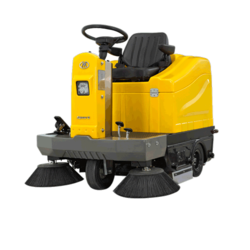 The sweeper with steel base which can afford heavyweight has durable tire and brake. 8. with warming light you can drive safely. 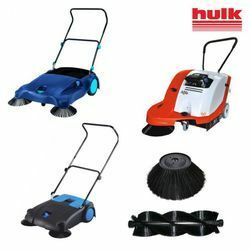 All parts of the sweeper can be removed and installed easily. Main Cylindrical brush with neutral design to collect debris forward. Great capacity of the hopper. 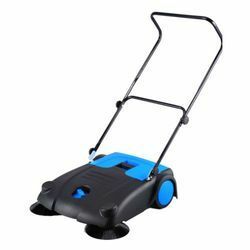 Main brush and side broom pressure adjustable without a tool.